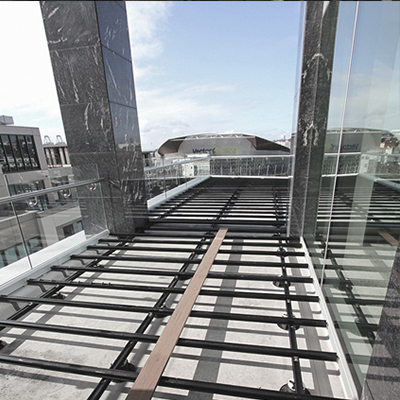 QwickBuild offers the most features and benefits for deck structures under 400mm in height, especially areas where deck structures are built over a waterproof membrane. 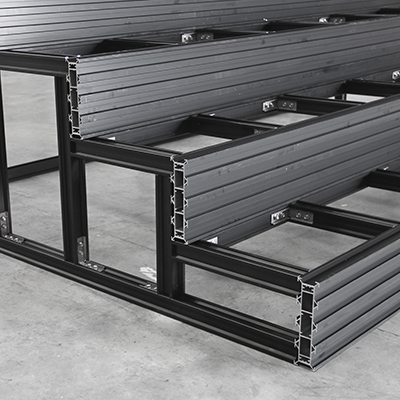 The system offers low height capabilities, enables the construction of deck structures with flush internal and external floor levels that are of complex integrating surfaces, and the convenience of transporting made-to-measure frames to site, significantly reducing installation time on site, making it cost effective. Building a deck structure low to the ground can be problematic. Typically there is insufficient ventilation and drainage to keep the deck healthy. Often these low height decks become waterlogged and rot out very quickly. Outdure’s QwickBuild provides a deck structure with a very low profile. 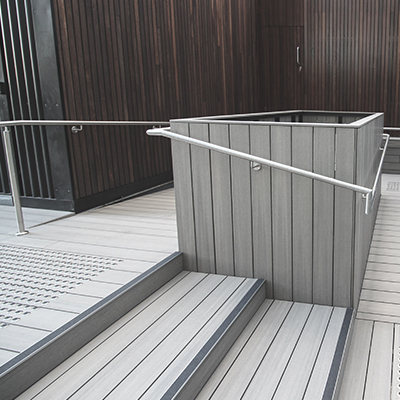 The grilles are designed to integrate and align to achieve a flush surface with Outdure’s range of decking boards, exterior tiles and also compliment Outdure’s UltraPlush synthetic turf. The QwickGrate’s are easily removable and allow for visual inspection and access to sumps, drains and gutters under the deck area. 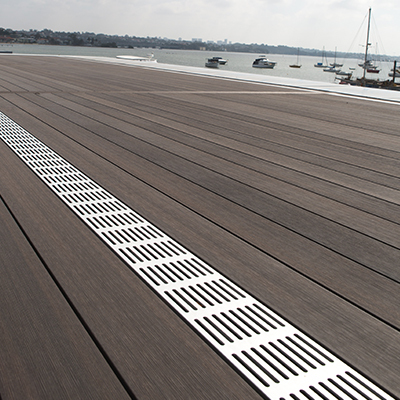 Most importantly, the QwickGrate system promotes critical airflow and ventilation under the deck structure. The solution is supplied as a kit with the concealed ‘snap-mount’ fastener (there are no visible screws). The snap-mount can be installed directly onto QwickBuild aluminium joists or timber joists. QwickGrates are 138x23x2800mm and are available in 25 micron anodised black or silver finishes. The ‘QwickBuild Anti-slip Strip’, provides a non-slip solution that integrates perfectly with Outdure’s range of decking boards, and tiles to give a flush finish. The innovation uses commercial grade 3M adhesive to ensure the durability of the non-slip strip function. The strips are 54x23mm and are manufactured from anodised 10 micron available in black or silver finishes. Outdure developed the ‘QwickBuild Smooth Curve’ joists to cater for the organic forms currently trending in architectural designs. Available in 45 or 90 profiles, 5800 or custom lengths. Made from 6063-T6 structural aluminium in powder coated black or a mill silver finish.